Supergroups tend to be an amazing idea on paper, but once the music hits the airwaves, they don’t live up to the hype. Today’s band was certainly legit in this music fan’s eyes, but they don’t perhaps get the recognition they deserve. With over 20 million albums sold worldwide, it’s a bit surprising they aren’t more of a household name. The singer and drummer of the band Free, the guitarist of Mott the Hoople and bassist of King Crimson got together in the early ‘70s and decided to start jamming. They were making a pretty solid sound, so they went out and got the best manager they could find – Peter Grant who was in charge of Led Zeppelin. Their pedigree got them a record deal with both Atlantic in North America, and Island in other countries. It seemed they were on their way—they just need a name and to put an album together. Lead singer Paul Rodgers was reading a book of Victorian morals that showed a picture of an innocent kid looking up at an unsavory character leaning up against a lamppost. The caption read, “beware of bad company.” The rest is history. Today we look at the very debut album that put them on the map—their eponymous effort that dropped in June of 1974. Recorded over a month or so in East Hampshire, England, the album ended up being also put out by Led Zeppelin’s Swan Song Records as their debut release. It would go on to reach #1 on the U.S. Billboard 200 and has since been certified five times platinum by the RIAA. In the UK it spent 25 weeks on their charts, peaking at #3. A popular music publication in the UK Kerrang! lists the album at number 40 of the “100 Greatest Heavy Metal Albums of All Time.” The original band lineup lasted until 1983, and they put out six albums in total. Each of those releases would go minimum of platinum in the U.S., with all but two going multi-platinum. 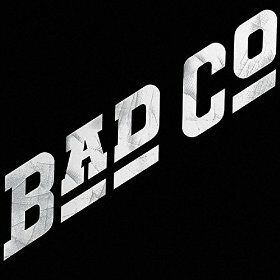 Bad Company has always been a band that I’ve enjoyed, but very few others of my generation seem to appreciate. This album is short, with only eight tracks and only 35ish minutes—but in that quick span, the album is almost perfect. Great guitar riffs, a signature ballad and just an incredible laid-back rock vibe. The incorporation of piano combined with a funky bassline on a track like ‘Bad Company’ is something I’m not sure I’ve ever heard done as well as they did it back in the early ‘70s. It’s like a rock song that somehow matches what rock would have been in the Wild West. Just a great track. I once heard them described as show churning, menacing rock’n’roll—and I don’t think I’ve ever heard a description about a band be so accurate in my life. While I’d agree with the assessment of being wary of bad company, I think these guys are okay. No need to hide the family, just crank this one to 11 and enjoy. Five bucks is a steal for the greatest Bad Company.